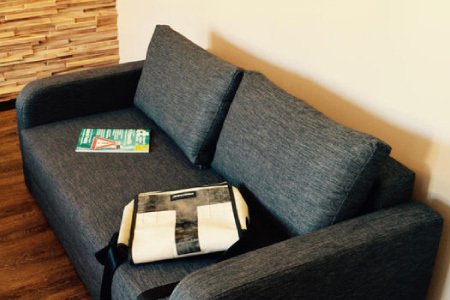 Are you looking for a centrally located hotel in Nuremberg’s city centre? Then you have come to the right place: Welcome to Hotel FIVE! 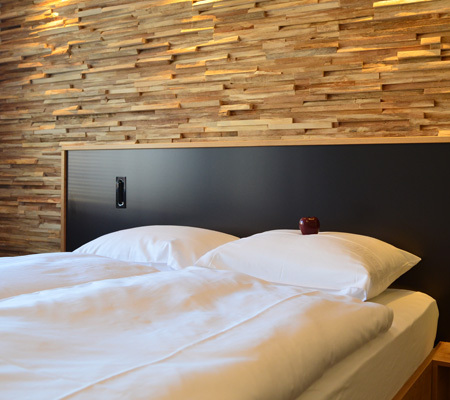 The hotel is very central at the back of Nuremberg’s famous main market place and with its comfortable and modern rooms, this hotel is perfectly suited for your next city or business trip. There are 16 modern and cosy rooms in Hotel FIVE, all of them can be either booked as single or double bedroom. The rooms of our boutique hotel meet the international standards of three-star superior hotels. We use natural resources responsibly and avoid wasting energy and rubbish whenever possible. You can read more about our environmentally friendly measures here. Hotel FIVE operates a small reception as well as a lift. Our underground garage is just nearby. Charged public parking around our hotel is also available. You can also keep up with the news during your stay thanks to local and national newspapers that are spread in our FIVE Diner, where breakfast will be served. Our reception will run until at least 11pm and our staff is more than happy to help you. When may we welcome you at our hotel? 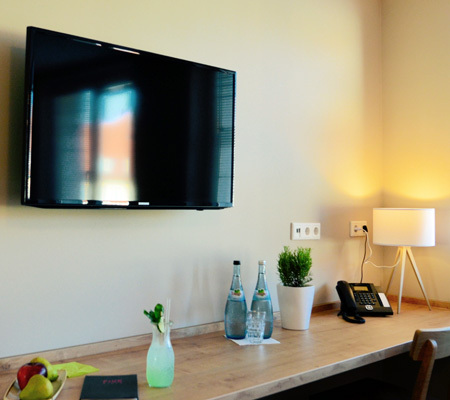 Your cosy and warm wooden room is always provided with free Wi-Fi, a modern LED flat screen and a fixed-line telephone. You can store your valuables in the safe that goes with your room for free. Even outside business hours you can find a selection of chilled drinks in your room’s mini bar for just a small charge. 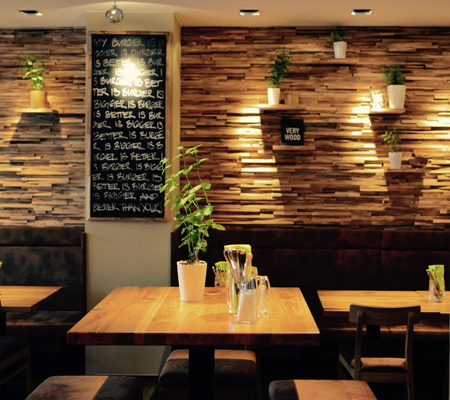 A bright and modern atmosphere perfectly suited for everyone to relax and recover. Make yourself at home! Daylight can enter your bathroom, which is equipped with a shower, a hair dryer as well as a make-up mirror. Also here, in the bathroom, the protection of the environment comes first. 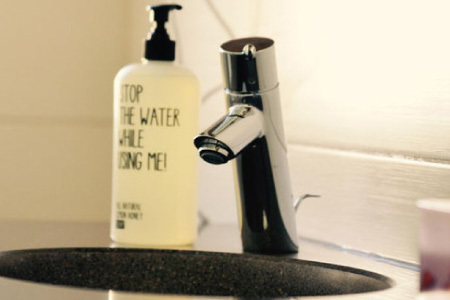 Therefore we refrain from using one-way products, instead we support the beauty products of the brand “Stop the water while using me”, because they fit our high standards and expectations and go in line with our environmentally friendly mind-set. Would you like another example? Due to our decalcifying plant the water in our pipeline is less calcareous: That is not only better for the environment, but also better for you! Your skin and hair is less stressed and they feel smoother. To make it short: our bathrooms are real wellness treatments for you! The Hotel FIVE is an excellent energy-saving hotel. We save energy in all areas where we have been able to implement it technically and the comfort for you as a guest does not suffer. For us this is self-evident. This is why we are also refraining from expensive environmental classifications, which are more suitable for marketing purposes. For the technically interested we have put together a small excerpt of our efforts here. Whether it is breakfast or dinner, in the rain or sunshine, a visit to the FIVE Diner with outdoor area will become a taste experience in every weather! In the morning, the in-house restaurant is a breakfast cafe – from noon the Five Diner restaurant serves burgers, salads and selected snacks. Das Hotel FIVE ist nur wenige Meter vom Nürnberger Hauptmarkt entfernt inmitten der historischen nördlichen Altstadt. Alle zentralen Sehenswürdigkeiten sind hier fussläufig erreichbar. Unser Haus liegt nur 800m vom Nürnberger Hauptbahnhof entfernt. Die U-Bahnhaltestelle U1 Lorenzkirche ist nur 400m entfernt und die Bushaltestelle Buslinie 36 Nürnberg Burgstraße 100m. Alle Sehenswürdigkeiten der Nürnberger Altstadt (z.B. die Kaiserburg, der historische Hauptmarkt, der Schöne Brunnen, die Lorenzkirche) sind nicht weiter als 500m vom Hotel FIVE entfernt. Zentraler geht es also kaum. Wir sind mit dem Auto direkt erreichbar. Parken ist bequem möglich im nahegelegenen Parkhaus am Hans Sachs Platz oder auf einem der öffentlichen Parkplätze vor dem Hotel und in der näheren Umgebung. Die öffentlichen Parkplätze kosten werktags (Montag bis Samstag) Euro 2,50 pro Stunde in der Zeit von 8.00 Uhr – 20.00 Uhr. Als besonderen Service können wir Ihnen Parkplätze in unserer fußläufig erreichbaren Tiefgarage (Achtung, Einfahrtshöhe: 2m, nicht verhandelbar!) gegen eine Gebühr von Euro 12,50 pro Nacht zur Verfügung stellen. Bitte sprechen Sie uns einfach an! Daily breakfast at 7.00 am, weekend and public holidays at 8.00 am!